I just want to start off by saying that yes, Crystal Hope is my real name. My parents weren't hippies by any stretch, but somehow they managed to set me up with the most new agey name possible anyway. knowledge and experience with him. This book was a natural extension of the life I'm living every day. 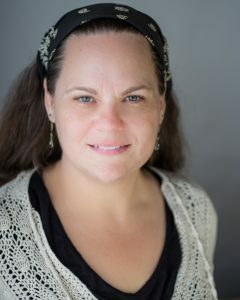 I have a master's degree in counseling psychology and have spent most of my adult life in the fields of counseling, mental health, and education. I've worked with clients as diverse as gifted students, domestic violence victims, the homeless, people with severe mental illnesses, and individuals and families navigating the psychic awakening process. From my professional experience I can assure you that psychic ability and paranormal experiences transcend every demographic and are becoming more and more common. What inspired this book at this particular time was my personal experience with the subject matter. I was living a particular lifestyle and found there were no books on Amazon on the topic. That struck me as unbelievable because it seems like there's one of EVERYTHING on Amazon, right? But there was no book on "How to Live with a Psychic." At that point I knew I absolutely had to write it because nobody was more qualified than me to do so. That might sound arrogant, but based on my personal and professional backgrounds combined, I really believe it to be true. They say "write what you know," and this book is the perfect example of how well that can work out. I like to organize things to death. My occasionally wise husband once pointed out to me that "our strengths are also our weaknesses," and organization is mine. I started writing my first book by brainstorming every possible detail I thought I'd want to share with the readers, then arranged those into categories, which ended up being the chapters. I did this with pen and paper. For the book I'm working on now, I'm compiling a lot of correspondence/advice I've emailed to clients and will use the process of arranging and organizing until the chapters are obvious. But this time I'm using Word since I'm copying and pasting stuff that's already in digital form. I tried Scrivener, and while I like it for creating epubs, which you may need to do based on where you submit your ebook, I can't get used to the interface. I just like a standard blank Word document on my screen. Start developing your platform now. Even if you haven't written a single word. And start learning about book marketing/promotion now. Make the business aspect of your writing as much a priority in your routine as the actual writing is. That's not romantic, I know. But it's the right advice. I'm too impatient to wait 18 months to find out if someone wants to publish my book. I'm very headstrong, so I wanted it done when I wanted it done. Therefore, I had to do it myself. I will say that the process of publishing the book is at least as challenging as writing the book. Probably more, honestly. There's so much to learn each step of the way. Almost daily I'm still finding out something new and relevant about the industry, or figuring out something about formatting an ebook for a certain retailer, etc. For example, I spent a full eight-hour day back in January fussing with bullets because I was (and still am) dissatisfied with how they looked in reflowable text. Eventually I rewrote a few sections that are bulleted in the print book to be regular paragraphs. But that's just one of a thousand little things that take up time that you could otherwise be using to write or promote yourself. And don't get me started on promotion. But in the end, I'm glad I've done it this way. At least once. Because I like knowing how things work, and doing everything from the technical to the creative to the mundane has provided me with invaluable knowledge about this process and industry. I've been attending agent panels around Los Angeles recently and I think I will try to get an agent for the next book. Just for the experience of it. Then I can make the most informed decision possible between the two options. I think publishers will eventually focus on recruiting self-published authors who've already succeeded or ones who they believe have raw potential, rather than taking on unpublished manuscripts in the traditional way.